iBot comes in tangerine and Bondi blue. Before the brushed aluminum and sharp angles of today’s desktop Mac, the iMac G3 was bulbous, plastic and colorful. Some would say cute. 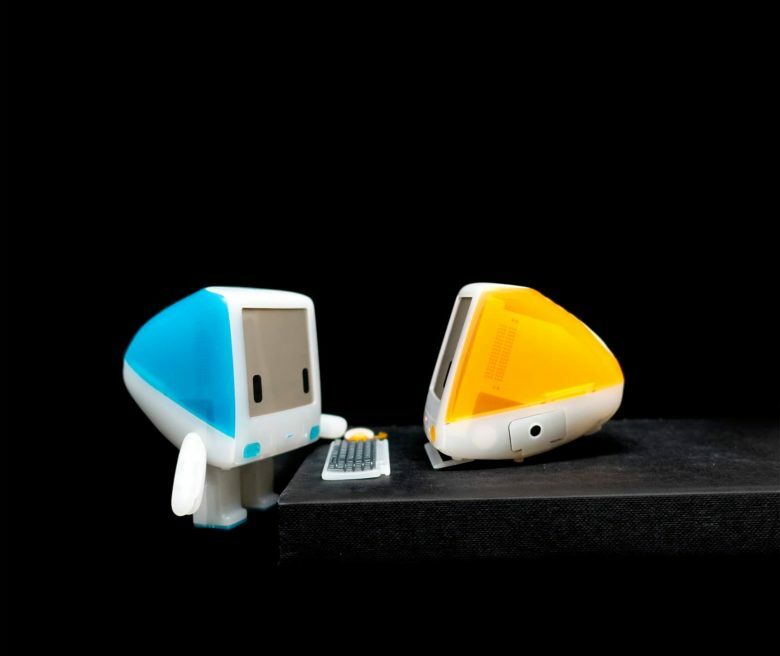 Toy designer Philip Lee raises the cute factor on the beloved piece of personal computing history with two new Classicbots that come in tangerine and Bondi blue. Mac users may miss the cheery splash of translucent color the G3 brought to their offices. Produced by Apple from 1998 to 2003, it was the comeback product Steve Jobs launched after returning to the struggling company. It also introduced fans to industrial designer Jony Ive. During its lifetime, the G3 had 13 different colors. 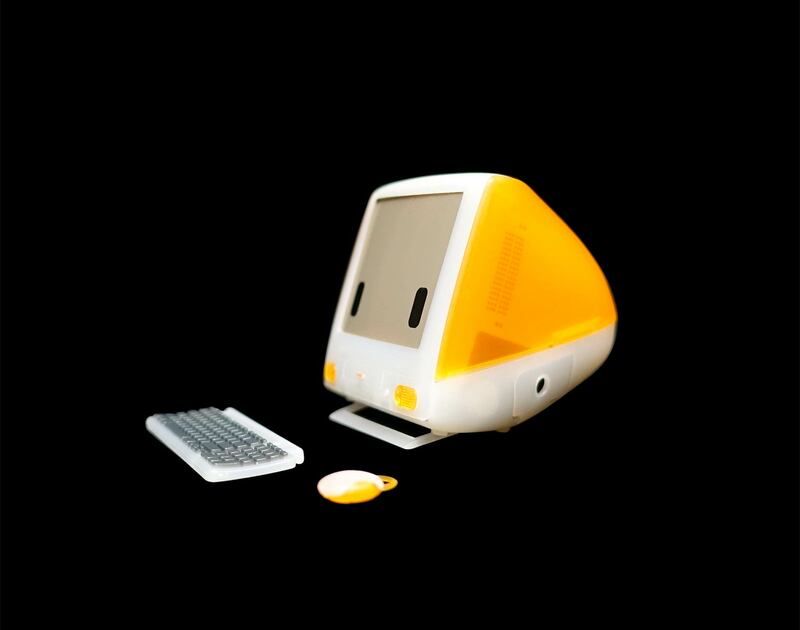 Lee chose two of the G3’s most popular colors, gave it a face and attaches arms and legs that are faithful to the rounded, capsule-shaped computer. Lee, who works in advertising in Hong Kong, leaves out the logo and any other copyrighted branding that would land him in court. 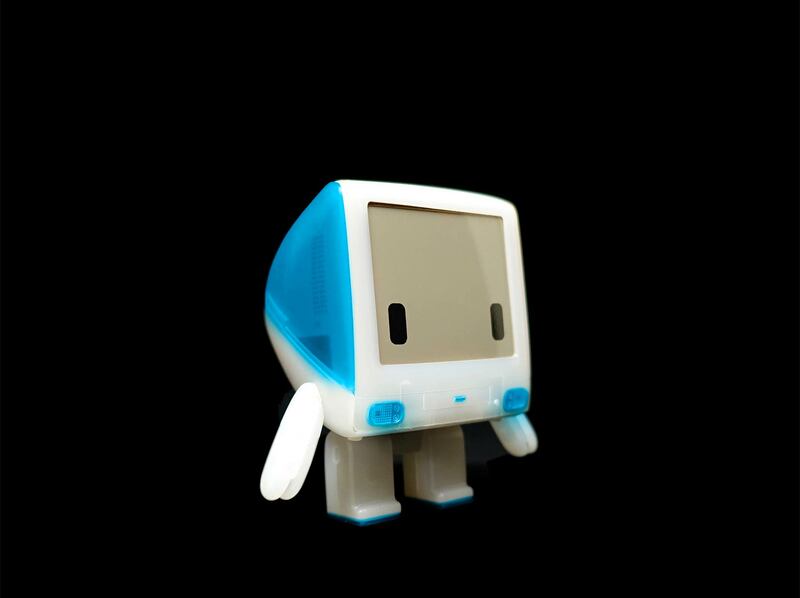 Each 6 cm-high iBot G3 comes with a keyboard and matching circular mouse. They are not working robots. Lee’s growing inventory of designer toys is an homage to Apple. His first, the Classic, looks like the original Macintosh computer. An accompany mouse appears like a friendly sidekick and in one of the Classic’s hand is a font suitcase. He also created Trashbot & Friends, which are original Mac icons, including the trash can, disk, folder, email, and the error bomb. Lee’s toys are a bit pricey because he uses injection molding that allows him to recreate the smallest details. The iBot G3 can be ordered here for $39 and will be shipped in December. Each iBot has keyboard and mouse. More Apple-related device characters are on Lee’s drawing board. He sees potential Classicbots in the iPod and first iPhone, but next will be a nod to his first computer, an Apple IIc.